Start at the TOP OF THE HOP! Welcome to the Operation Write Home stop on the hop! We're so glad you came by. We'd like to share a little about our organization, and a few cards made for this hop by some of our crafters! 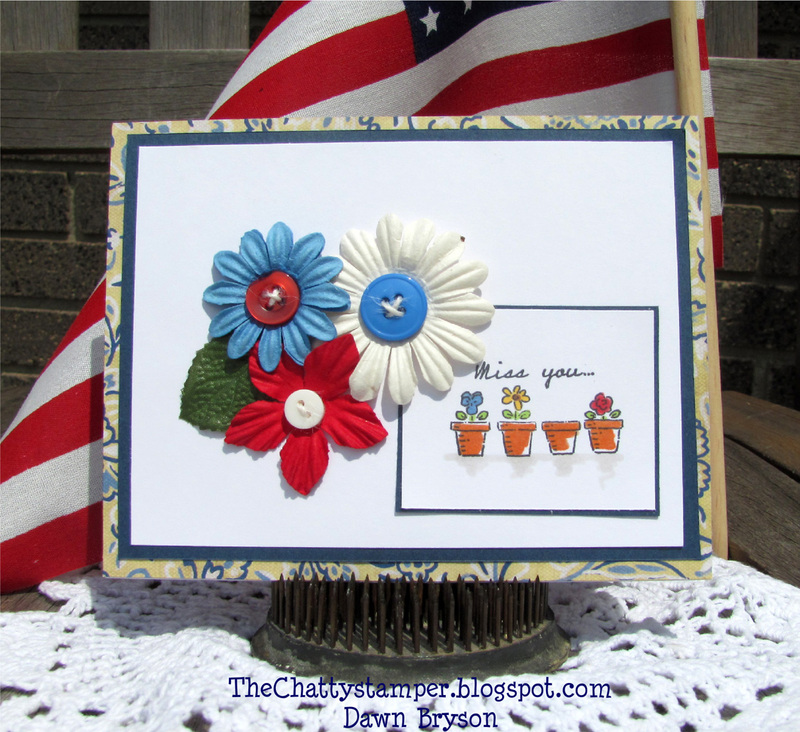 Operation Write Home supports our nation's armed forces by sending blank handmade greeting cards to write home on, as well as cards of gratitude to encourage them. We've sent over one MILLION cards and are working on our second million...we hope you'll join us! Beware. Serving our heroes is addictive! A2 sized cards are strongly preferred. Envelopes aren't required, but our shippers tuck thousands of cards a week - save them some work if you can! Include a completed packing slip with your cards, and we'll let you know when your cards arrive by sending you an emailed receipt. Visit the pages on the Mailroom Tab on our site to get more guidelines and shipping addresses! Order a free OWH stamp for the backs of your cards, and save a shipper some labor. Enjoy the hop - and be sure to visit our main website for more info on sending cards to OWH for our heroes. You can follow this blog (we recommend subscribing by email!) for our Sunday sketches, Tuesday tutorials, Wednesday challenges, Thursday night OWHtv craft shows (6:30pm), and Friday cardmaker features! If you follow us on Facebook, you'll get link reminders to all of these great features to keep you inspired all week long! The next stop is Art Made with a Heart! Wow, these are all beautiful!! Thanks for sharing the ideas. Awesome cards!!! Thank you so much for the inspiration! Great group of cards, thanks for thinking of me. It's nice to see all the different interpretations from the same inspiration. Great cards, gals!! What great inspiration ! A terrific selection of cards!! Let's get the second million done!